[S]ome people continue to defend trickle-down theories which assume that economic growth, encouraged by a free market, will inevitably succeed in bringing about greater justice and inclusiveness in the world. This opinion, which has never been confirmed by the facts, expresses a crude and naïve trust in the goodness of those wielding economic power and in the sacralized workings of the prevailing economic system. Meanwhile, the excluded are still waiting. Others have noted that his empirical claim is dubious at best. I’d also note that his theoretical claim (“inevitable”) is a straw man. People have always been concerned with the “goodness of those wielding economic power”. If we’re being consistent we’d also be concerned with the “goodness” of what is one of the wealthiest institutions on earth, and one of the least transparent. This is why we in the decadent West have regulatory institutions, progressive taxation, and a welfare state deployed by elected representatives of the people. No similar checks and balances in Vatican City. Meanwhile, as Hitchens noted in his polemic against the “ghoul of Calcutta,” the Pope’s own organization has been less a friend of the poor as of poverty. The church opposes the liberation of women and the sagacity of demographic planning, which is a precondition for escaping Malthusian social dynamics. Historically the church has actively worked to promote ignorance, oppose scientific inquiry, and limit the erosion of its own prestige by rising bourgeois and working classes — the very things that have enhanced human dignity. At present it refuses to divest any of its substantial assets to improve the material lives of the suffering. If a capitalist can be defined by a logic of accumulation then there has been no greater capitalist in world history than the church in Rome. These are not actions that demonstrate concern for the least among us (and we will know them by their actions). Until these policies and doctrines are not only abolished but thoroughly repudiated I won’t take seriously lectures from Jorge Mario Bergoglio on questions of political economy. This should be obvious to practically everyone, and I would encourage well-meaning people of the left to not accept poisoned friendships so easily. But I hadn’t actually considered another aspect of this. Among the world’s poorest the situation is the exact opposite of what Bergoglio describes. Via Scott Sumner, who adds that the Pope should really be less Euro-centric. Indeed he should. UPDATE: If I’d noticed this FT exposé on the financial malpractice of the Vatican that published a few days ago I would’ve worked it into this post. I didn’t, until now, so I’ll just link to it. It’s pretty bad. “Historically the church has actively worked to promote ignorance, oppose scientific inquiry”. 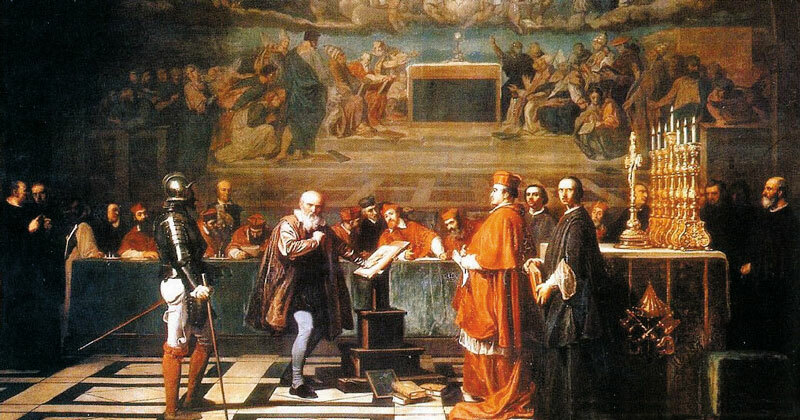 There is a portrait of Galileo that perfectly captures the fury and outrage at this very aspect of papal policy in the days of the Reformation. Likewise, the reason so many of the German states and later England, the Netherlands, and other European powers jumped on the Protestant Reformation bandwagon was to divorce themselves from the Catholic Church and claim the “substantial assets” of the papacy for themselves, thereby cutting out the payment of “tithes” to a titular head who had been bought out by the Medici family in the past. Previous Previous post: Stop Praising Mandela! Keep Burying Apartheid!